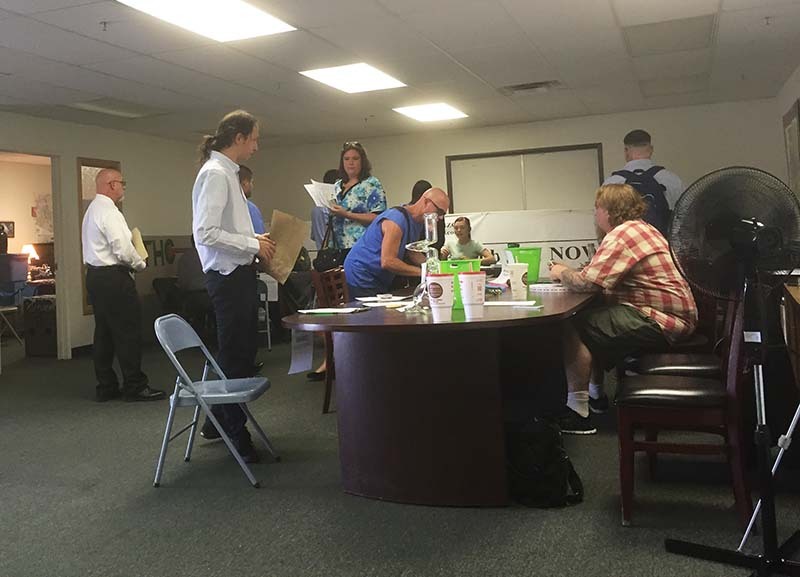 May 2015 was Arizona’s first marijuana job fair, hosted by Staff MMJ. Seven companies showed up to meet attendees, including presenting dispensary, Health For Life. The job fair started mid morning and ended early in the afternoon. Visitors were able to meet with hiring managers and leave applications every company booth. 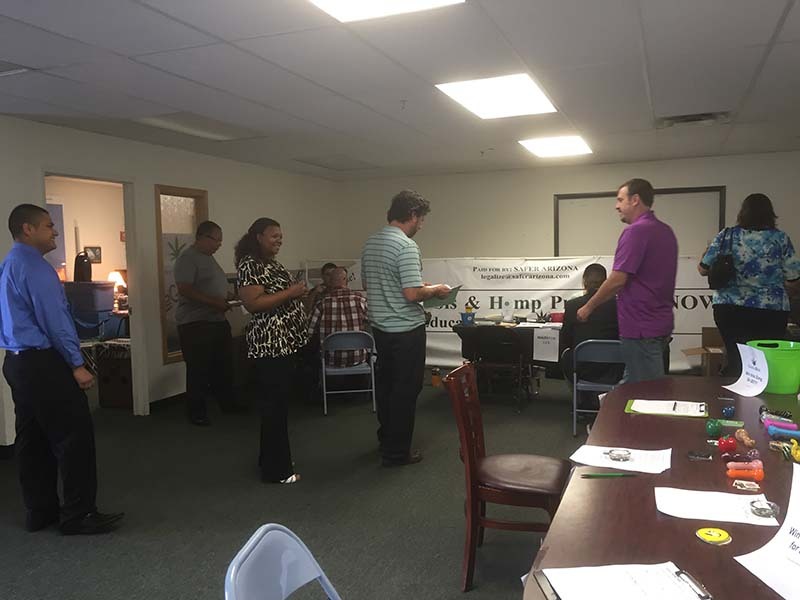 With less than a month to prepare, the representatives of our attending companies were excited to join Arizona’s first marijuana job and resource fair. Their efforts helped make the event a success. Some attendants were shocked at the marijuana industry’s current availability in jobs. With less than 100 dispensaries in Arizona, the odds of finding an available position are not great. Individuals working in a dispensary must meet certain requirements, such as having no prior violent felonies, and applicants for dispensaries must be over the age of 21. When you attend a Staff MMJ job fair, applicants have a chance to meet with local companies in a business-casual environment. Learning a company’s culture before a formal interview can save both parties a lot of time. Before this event, I didn’t know anything about what is takes to work in Arizona’s marijuana industry. The representatives at Health For Life helped me understand their company’s expectations and culture,” said Jaime S., job fair attendant. In mid-May 2015, Staff MMJ held it’s first job fair at a lab testing facility in Mesa, but unfortunately the building’s AC went out, and the next event was relocated to the Wyndemere in late May. Next year, Staff MMJ hopes to expand events to a private closed campus setting.